This should have been a Kingscourt – Drogheda goods conveying gypsum from the mine at Kingscourt and general goods from Navan. There was no gypsum on offer. 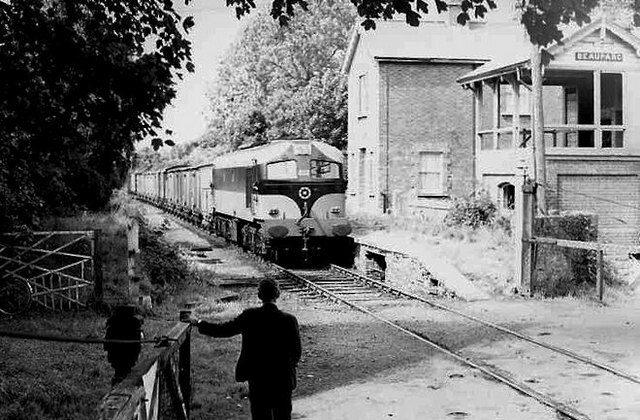 The locomotive ran with a brake van from Kingscourt and collected this train of loose-coupled wagons at Navan. Beauparc station still exists N9471 : Beaupark Station but the GNR(I) signal cabin has gone. This page has been viewed about 779 times.